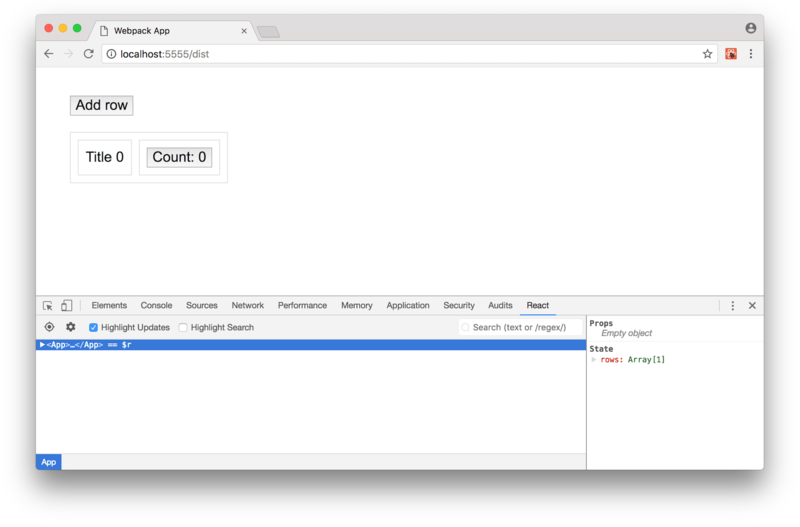 Learn about React’s Virtual DOM and use this knowledge to speed up your applications. In this thorough beginner-friendly introduction to framework’s internals, we will demystify JSX, show you how React makes rendering decisions, explain how to find bottlenecks, and share some tips to avoid common mistakes. One of the reasons React keeps rocking the front-end world and shows no sign of decline is its approachable learning curve: after wrapping your head around JSX and the whole “State vs. Props” concept, you are good to go. If you are already familiar with the way React works, you can skip straight to “Fixing things”. A huge React table on eBay for business. 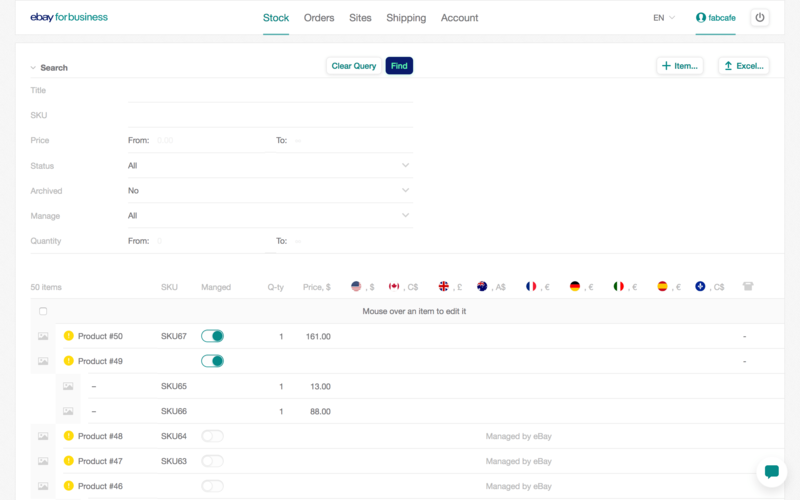 With hundreds of dynamic, filterable rows, understanding framework’s finer points becomes essential to guarantee smooth user experience. And you can certainly feel when things go wrong. Input fields get laggy, checkboxes take a second to be checked, modals have a hard time showing up. To be able to solve these kinds of problems, we need to cover the whole journey a React component takes from being defined by you to being rendered (and then updated) on a page. Buckle up! Process known in front-end circles as “transpiling”, even though “compilation” would be a more correct term. Let’s take a closer look at these arguments. The first one is a type of element. For HTML tags it will be a string with a tag’s name. A second argument is an object with all of the element’s attributes. It can also be an empty object if there are none. All the following arguments are element’s children. Text inside an element also counts as a child, so a string ‘Content!’ is placed as the third argument to a function call. Our function now has five arguments: an element’s type, an attributes object, and three children. As one of our children is also an HTML tag known to React, it will be portrayed as a function call as well. Components allow us to break our templates into reusable chunks. In the example of a “functional” component above we accept an array of objects holding table row data and return a single React.createElement call for a <table> element and its rows as children. Note that this time our first argument is not a String describing an HTML element, but a reference to a function that we defined when we coded our component. Our attributes are now our props. These objects constitute Virtual DOM in React’s sense. They will be compared to each other on all further renders and eventually translated into a real DOM (as opposed to virtual). Note that children who used to be separate arguments to the React.createElement function have found their place under a children key inside props. So it does not matter whether children are passed as an array or a list of arguments—in a resulting Virtual DOM object they will all end up together anyway. If a type attribute holds a string with a tag name—create a tag with all attributes listed under props. If we have a function or a class under type—call it and repeat the process recursively on a result. If there are any children under props—repeat the process for each child one by one and place results inside the parent’s DOM node. In practice, render is usually called on a root element once and further updates are applied through state. Note that “re” in the heading! The real magic in React starts when we want to update a page without replacing everything. There are few ways how we can achieve it. Let’s start with the simplest one—call ReactDOM.render for the same node again. This time, the piece of code above will behave differently to what we’ve already seen. Instead of creating all DOM nodes from scratch and putting them on the page, React will start the reconciliation (or “diffing”) algorithm to determine which parts of the node tree have to be updated and which can be left untouched. So, how does it work? There is just a handful of simple scenarios and understanding them will help us a lot with our optimization. Keep in mind that we are now looking at objects that serve as a representation of a node in the React Virtual DOM. Scenario 1: type is a string, type stayed the same across calls, props did not change either. That is the simplest case: DOM stays the same. Scenario 2: type is still the same string, props are different. 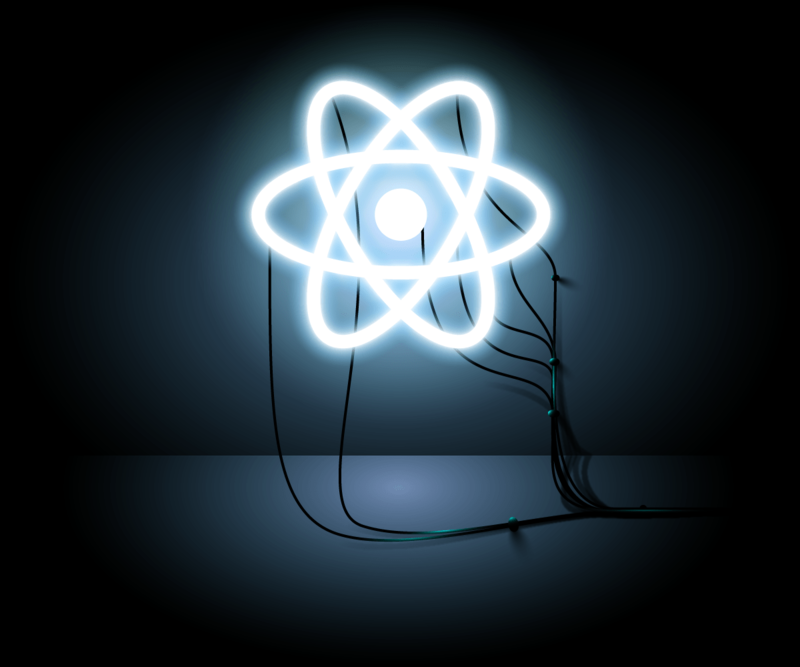 As our type still represents an HTML element, React knows how to change its properties through standard DOM API calls, without removing the node from a DOM tree. Scenario 3: type has changed to a different String, or from String to a component. As React now sees that the type is different, it would not even try to update our node: old element will be removed (unmounted) together with all its children. Thus, replacing an element for something entirely different high up the DOM tree can be quite expensive. Luckily, that rarely happens in the real world. It is important to remember that React uses === (triple equals) to compare type values, so they have to be the same instances of the same class or the same function. Next scenario is much more interesting, as that is how we use React most often. Scenario 4: type is a component. “But nothing had changed!”, you might say, and you will be wrong. Note that a component’s render (only class components have this method explicitly defined) is not the same as ReactDOM.render. The word “render” is indeed a bit overused in React’s world. If type is a reference to a function or a class (that is, your regular React component), and we started tree reconciliation process, then React will always try to look inside the component to make sure that the values returned on render did not change (sort of a precaution against side-effects). Rinse and repeat for each component down the tree—yes, with complicated renders that might become expensive too! If, while “diffing”, React sees any array inside props.children, it starts comparing elements in it with the ones in the array it saw before by looking at them in order: index 0 will be compared to index 0, index 1 to index 1, etc. For each pair, React will apply the set of rules described above. In our case, it sees that div became a span so Scenario 3 will be applied. That is not very efficient: imagine that we have removed the first row from a 1000-row table. React will have to “update” remaining 999 children, as their content will now not be equal if compared to previous representation index-by-index. Luckily, React has a built-in way to solve this problem. If an element has a key property, elements will be compared by a value of a key, not by index. As long as keys are unique, React will move elements around without removing them from DOM tree and then putting them back (a process known in React as mounting/unmounting). So, we have a counter key in our state object. A click on a button increments its value and changes button text. But what happens in a DOM when we do that? Which part of it will be recalculated and updated? Calling this.setState causes a re-render too, but not of the whole page, but only of a component itself and its children. Parents and siblings are spared. That is convenient when we have a large tree, and we want to redraw only a part of it. We have prepared a little demo app so you can see most common problems in the wild before we go about fixing them. You can take a look at its source code here. You will also need React Developer Tools, so make sure you have them installed for your browser. Now try adding a row to the table. As you can see, a border appears around each element on the page. That means that React is calculating and comparing the whole Virtual DOM tree each time we add a row. Now try to hit a counter button inside a row. You see how Virtual DOM updates on change of state—only the concerned element and its children are affected. React DevTools hints at where the problem might be, but tells us nothing about details: especially whether the update in question means “diffing” elements or mounting/unmounting them. To find out more, we need to use React’s built-in profiler (note it won’t work in production mode). 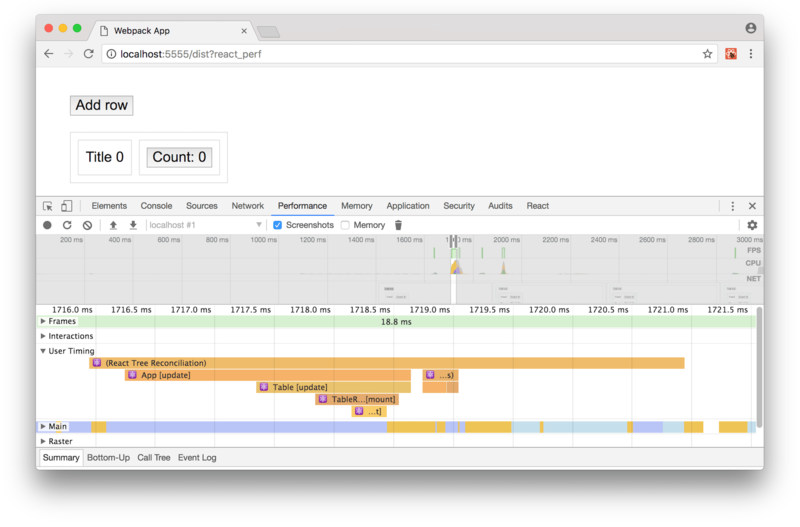 Add ?react_perf to any URL of your app and go to “Performance” tab in your Chrome DevTools. Hit the recording button and click around the table. Add some rows, change some counters, then hit “stop”. In the resulting output, we are interested in “User timing”. Zoom onto timeline until you see “React Tree Reconciliation” group and its children. These are all names of our components with [update] or [mount] next to them. Most of our performance problems fall into one of those two categories. Either a component (and everything branching from it) is for some reason re-mounted on each update, and we didn’t want it (re-mounting is slow), or we are performing an expensive reconciliation on large branches, even though nothing has changed. Now when we have caught up on some theory about how React makes decisions to update Virtual DOM and figured out how to see what is happening behind the scenes, we are finally ready to fix things! First, let’s deal with mounts/unmounts. You can get a very noticeable speed improvement if you simply mind the fact that multiple children of any element/component are represented as an array internally. We have a simple Message which is a div holding some text (think your garden variety notification) and a huge Table spanning, let’s say, 1000+ rows. They are both children of the enclosing div, so they are placed under props.children of the parent node, and they don’t happen to have a key. And React will not even remind us to assign keys through console warnings, as children are being passed to the parent’s React.createElement as a list of arguments, not an array. Now our user has dismissed a notification and Message is removed from a tree. Table and Footer are all that’s left. How does React see it? It sees it as an array of children changing shape: children held a Message and now it holds Table. There were no keys to compare against, so it compares types, and as they are both references to functions (and different functions), it unmounts the whole Table and mounts it again, rendering all its children: 1000+ rows! So, Message or not, our indexes will not change, and Table will, of course, still be compared to Table (having references to components as type starts reconciliation anyway), but just comparing Virtual DOM is often a lot faster than removing DOM nodes and creating them from scratch again. So, now we make sure not to re-mount stuff, unless necessary. However, any change to a component located close to the root of the DOM tree will cause diffing and reconciliation of all its children. With complicated structures that is expensive and can often be avoided. Would be great to have a way to tell React not to look at a certain branch, as we are confident there were no changes in it. That way exists, and it involves a method called shouldComponentUpdate which is a part of the component’s lifecycle. This method is called before each call to a component’s render and receives new values of props and state. Then we are free to compare them with our current values and decide whether we should update our component or not (return true or false). If we return false, React will not re-render the component in question and will not look at its children. But you don’t even have to code it yourself, as React has this feature built-in in a class called React.PureComponent. It is similar to React.Component, only shouldComponentUpdate is already implemented for you with a shallow props/state comparison in mind. The code snippet above demonstrates three most common anti-patterns. Try to avoid them! If you are mindful of creating all objects, arrays, and functions outside of render definition and making sure they don’t change between calls—you are safe. You can observe the effect of PureComponent in the updated demo where all table’s Rows are “purified”. If you turn on “Highlight Updates” in React DevTools, you will notice that only the table itself and the new row are being rendered on row insertion, all other rows stay untouched. However, if you can not wait to go all in on pure components and implement them everywhere in your app—stop yourself. Comparing two sets of props and state is not free and for most basic components is not even worth it: it will take more time to run shallowCompare than the diffing algorithm. Use this rule of thumb: pure components are good for complicated forms and tables, but they generally slow things down for simpler elements like buttons or icons. Thank you for reading! Now you are ready to apply these insights in your applications. You can use the repository for our little demo (with and without PureComponent) as a starting point for your experiments. Also, stay tuned for the next part of the series, where we plan to cover Redux and optimizing your data to increase the application’s general performance.